Back in March, Grace wrote about the positives and negatives of leasing a vehicle in her article 'What is Car Leasing?'. 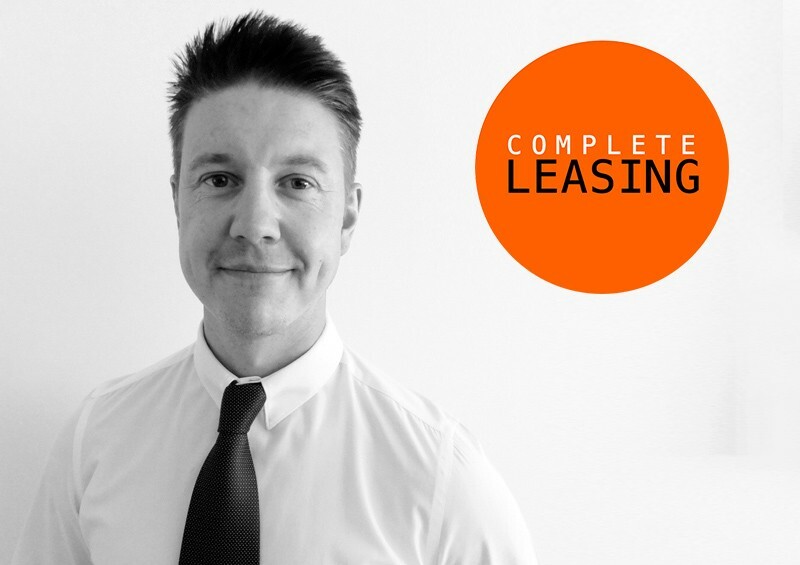 Grace’s post is an excellent way to quickly see the pros and cons of vehicle leasing and in this article, it’s my intention to give you the best advice, based on my personal experience and that of the team at Complete Leasing. I’d like to say that I’m impartial, but I love the concept of vehicle leasing. I’ll try and stay neutral, but bear in mind that as the Director of a leasing company, I will be a little bit biased and in favour of leasing. To try and balance it out let’s start out with the arguments AGAINST leasing. When leasing, you never own the vehicle you pay for. Most of the resistance that I find about vehicle leasing stems from ownership and the fact that you will never own it. This is true. When leasing, you will never own the vehicle, but the benefits of this mean that you will not have to worry about depreciation, which hits the second you drive off the forecourt. Unless you buy the car outright, you do not own the vehicle until the final payment is made. By the time this happens, the interest on any loan and the depreciation in value means that the true cost of ownership is considerably more expensive than leasing. If you did have the money to buy a car outright then I would strongly urge you not to. Any financial advisor will tell you never to buy a depreciating asset and that buying a vehicle is one of the worst ‘investments’ you could make. For the record, I am not qualified to give financial advice and you should seek the services of a quailed advisor before acting on any information you read here. Let’s take my car, for example. I drive a VW Golf GTD 66 plate. I leased this vehicle back in December 2016 for £265 pcm with a full maintenance and tyres package included. The OTR price for my car then was around £29,000 (I have a few extras like DSG, keyless entry, etc.). The estimated value of my car now is around £19,650 so I would have lost a little less than £10k if I had bought the car. Car cost calculations were done using The Money Advice Service car ownership calculator. “Depreciation is the difference between a car's value when you buy it and when you come to sell it. This drop in value varies between makes and models, but typically is between 15-35% in the first year and up to 50% or more over three years. This figure is based on price changes over time for similar cars”. I owned cars up until five years ago and I hated watching all the money disappear through depreciation. When all the payments are made and I own the car, I don’t have to pay anything. Being able to drive around without any more monthly payments on any loan or HP agreement is a major positive of car ownership. This really is a major benefit of owning your own vehicle and if you are looking to keep hold of your vehicle for longer, then this is an excellent way to eventually reduce monthly outgoings. One of the downfalls of ownership, however, is that your vehicle will continue to depreciate in value and as it gets older, it will need to have an M.O.T and will most likely have mechanical issues as time goes on. All lease cars are brand new, and new cars do not need MOTs (for the first three years) - they will usually be covered under the manufacturer’s warranty. If you take out a service pack then tyres, tax and servicing can all be included, so there are not going to be any unexpected repair bills, which is a fact of life as your car gets older. With the fixed monthly cost of leasing, you can budget your motoring costs to the penny without the fear of repair bills or expensive tyres. I look at driving a car as an essential expense - most people must have a car to get around these days and as I like to travel about with my young family (and dog) in a safe and modern car, it suits my personal needs. The added benefit of knowing how much I will be paying each month for my car suits me. I also do not take out a lease for longer than 2 years, as I like to change my car relatively frequently. If you own your car, you can choose to buy another vehicle and use the one you now own as a down payment. It is a nice perk to be able to put a deposit down for a new vehicle using your old car. It’s worth remembering that buying a car with finance usually means putting a much larger amount of money down than leasing. This can help to reduce your monthly costs as you are essentially borrowing less money against the vehicle. This is because when you finance a vehicle you are lending a set amount of money against the value of the car at the time of purchase. When you lease, you are only paying off the difference between the value of the car when it is new, against the residual or future value of the car. This is how car leasing is so much cheaper than buying a vehicle. The money you would save from putting down a lower deposit with lower monthly payments can be saved in a high-interest account. This could far exceed the cost of the next deposit of your next lease. I don’t want to be tied to a long contract. If the idea of making payments between 1 to 4 years (the usual lease length agreement terms) frightens you then leasing isn’t for you. The fixed price per month is what I find so appealing, but you need to ensure that you are financially stable enough to keep up with the payments every month, as breaking out of a leasing contract can be difficult. You will need to look ahead into the future and plan for any major life events that are coming up that could have consequences on your ability to make continued payments (babies, retirement, etc). My advice is to work out what you can comfortably afford and have a buffer if something unforeseen should happen. I don’t like having limited mileage per year. It’s really important that you carefully work out how much mileage you are likely to do each year, but if done properly then it will not be an issue for most people. A good way to do this is to look back over your previous car’s MOT certificates or service records to see how many miles you have travelled. 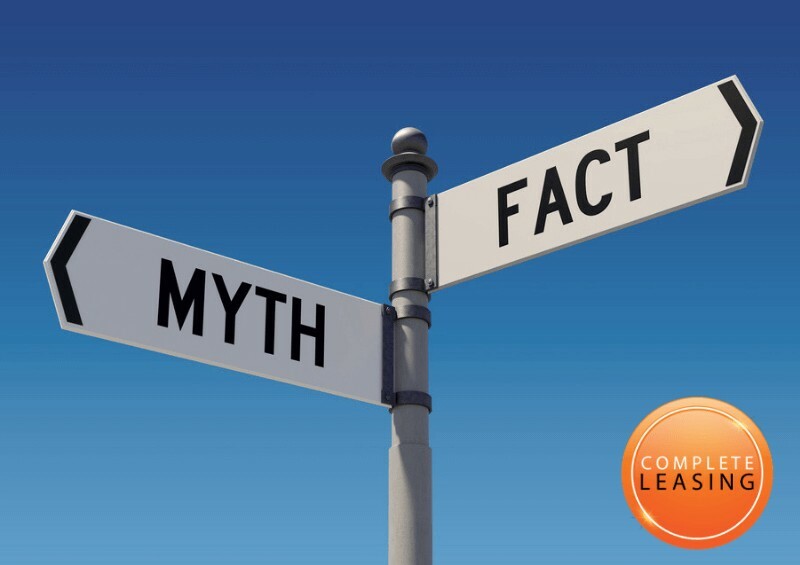 Many of our clients underestimate just how many miles they do, and this is because they are trying to save money on the lease by opting for a lower mileage deal. When you work out that 5,000 miles a year is just 13.7 miles per day, you really need to be honest with yourself in relation to the likely number of miles you’ll travel. For more information on mileage, see our full guide Car Leasing and Mileage. You’ll get hammered with expenses at the end of the lease. I’m on my third lease vehicle now and only once have I had to make a payment at the end of the term. That was on my Skoda Octavia VRS which had a stone chip in the window. The alloys had minor curb marks (thanks to Mrs Evans) and there were some general wear and tear issues thanks to it being used as a family car, which was used to convey my son (a new born at the time), Weimaraner (Fonzie) and wife around. I was only charged for the windscreen repair, as this was not covered under the Fair Wear and Tear policy which all leased vehicles fall under. I have always found that as long as you are careful with your leased vehicle in the same way as if you owned it, you are unlikely to face any charges at the end of your lease. So, why is vehicle leasing right for me? One of the biggest positives for me has to be the reduction in cost of leasing vs buying a vehicle. You can essentially afford a car that would otherwise never have been possible if you purchased it outright (don’t ever do this unless you have money to burn, please). Financing it through HP or PCP also helps to make it more affordable. Leasing means you put much less money down as a deposit as well as lower monthly payments. I took my GTD lease out on a two-year lease. This means that I get a full manufacturer’s warranty on the car and all servicing, tyres and road tax are covered during this time. I know exactly what the cost of running my car is every month and, for me, that means I am able to plan how to spend my money without the fear of an unexpected repair bill, expensive service or tyre cost. You don’t have to take out the maintenance packs, but I find them an excellent way of ‘fixing’ your motoring costs every month. Most manufacturers’ warranties run for two years but there are some that run for much longer. This can also be a consideration if you are contemplating how long to take out a lease for and with which manufacturer. Our leased cars are brand new, so this means that they will have some of the most up-to-date safety features as well as useful technology that can assist you when driving. Newer cars are generally more fuel-efficient which means they will cost you less when you fuel up. I’m a bit of a gadget freak and love ‘usable technology’. The options I included in my Golf GTD were keyless entry, engine start and DSG (automatic gearbox). I also have adaptive cruise control and collision prevention equipment as standard on the car, which make long journeys easier and improves the safety of my young family and wife. With safety features continually improving you can also see the following features on many new cars today*. Forward-collision warning (FCW): Visual and/or audible warning intended to alert the driver and prevent a collision. Blind-spot warning (BSW): Visual and/or audible notification of a vehicle in the blind spot. The system may provide an additional warning if you use your turn signal when there is a car next to you in another lane. Rear cross-traffic warning: Visual, audible, or haptic notification of object or vehicle out of rear camera range when you could be could be moving into it. Adaptive cruise control: This uses lasers, radar, cameras, or a combination of these systems to keep a constant distance between you and the car ahead, automatically maintaining a safe following distance. If highway traffic slows, some systems will bring the car to a complete stop and automatically come back to speed when traffic gets going again, allowing the driver to do little more than pay attention and steer. There are also many benefits for limited companies that lease their vehicles. There are often better leasing deals available for business customers and there are ways to claim back your VAT bill using this method (this will be discussed in a later blog, but please seek independent advice in relation to this). Company car tax is still payable, but this can often work out cheaper than a personal lease, HP or PCP. Company car tax is based on the amount of Co2 your vehicle emits, the value of the vehicle, plus any extras on it (P11D) and your personal tax bracket. The payments that you make to your lease company are also tax deductible, so this can also help to save on your corporation tax bill. If your company uses vans or pickups, then a fixed car tax rate could be payable as tax is worked out a little differently. Your company car tax is calculated using a fixed rate instead of Co2 emission or value of the car (P11d). The fixed rate at the time of writing (June 2018) is £3,170 and you will pay 20 – 40% of this amount based on your personal tax bracket. Leasing a van or pickup in this way can be a cost-effective option when you compare it to a car. So, there you go! That’s some of my in-depth positive and negatives of leasing vs buying a vehicle. It’s not an exhaustive list and some things that I haven’t included on either side of the debate will be important to some people. Each and every vehicle customer is different and there is no one answer to the buying vs leasing question. You need to look at all the costs and benefits of each choice and align them with your budget and what is most important to you.